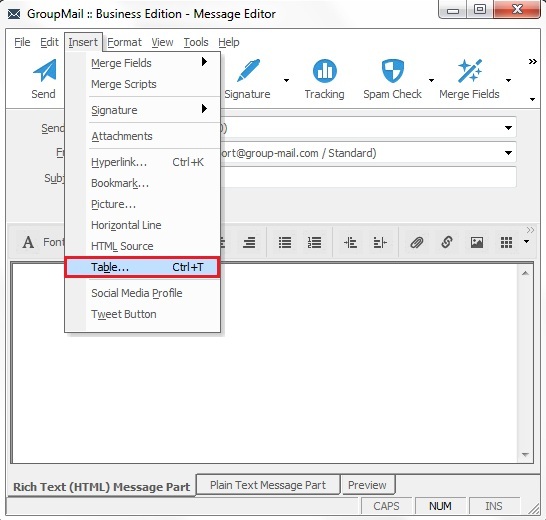 On your GroupMail Message Editor, go to the Insert Menu, Table. This opens the Insert Table screen. 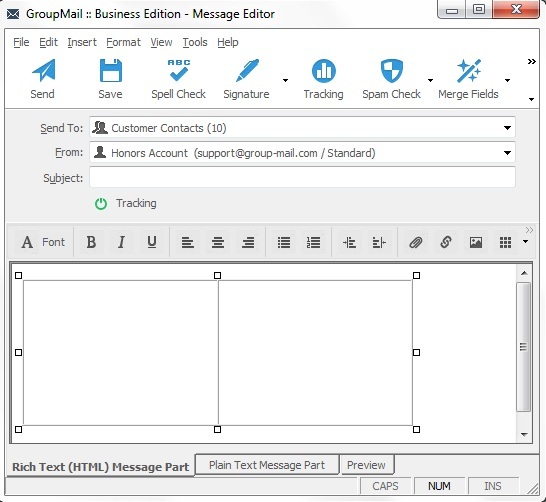 Then to add the Table to your Message, click on the Ok Button. 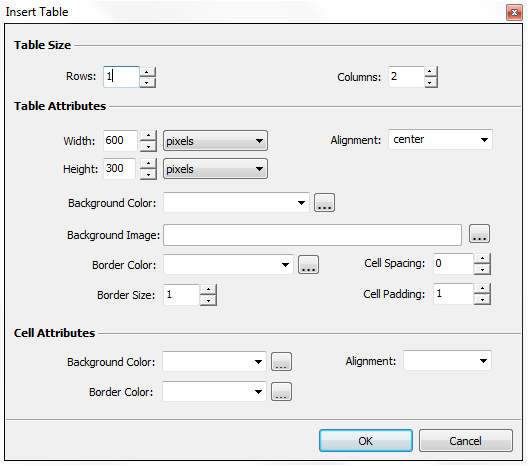 This is a great option, if you would like to add an Image in one column and Text in another, like this example.